Just a week after Deutsche Bank's new CEO Christian Sewing announced his restructuring plan, the bank has received a new blow: The Federal Deposit Insurance Corporation (FDIC) - a US agency charged with maintaining stability in the banking system - has designated the bank's US business as "troubled". How easy will recovery be? 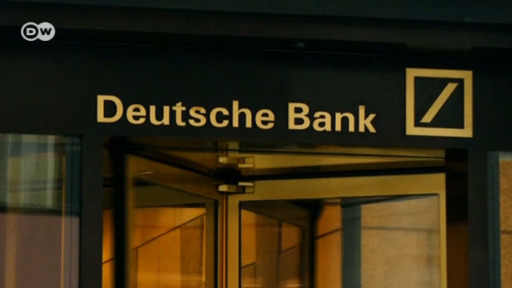 German banking giant Deutsche Bank's US operations failed the Fed's second round of stress tests, the qualitative test. Of the big banks tested, 32 out of the 35 passed the test. The biggest US banks, including Deutsche Bank's US subsidiary, are equipped to survive a recession, the Fed says. Yet there are warning signs, including for Deutsche, whose credit rating took another hit on Thursday. German financial regulator BaFin has formally ordered Deutsche Bank to do more to prevent money laundering and terrorist financing, taking the unprecedented step of appointing a monitor to oversee the lender's efforts. The bank also agreed to improve oversight by senior management and compliance to US banking laws. The fine is the latest in a series of woes for Germany's largest bank.